Decking the halls has been so fun this year!! I’m so happy to share a peek into our Christmas home with you!! So, welcome to my home!! I’m joining some beautiful ladies today who are all new friends to me, and I’m so grateful to be a part of this talented group of Christmas tours!! 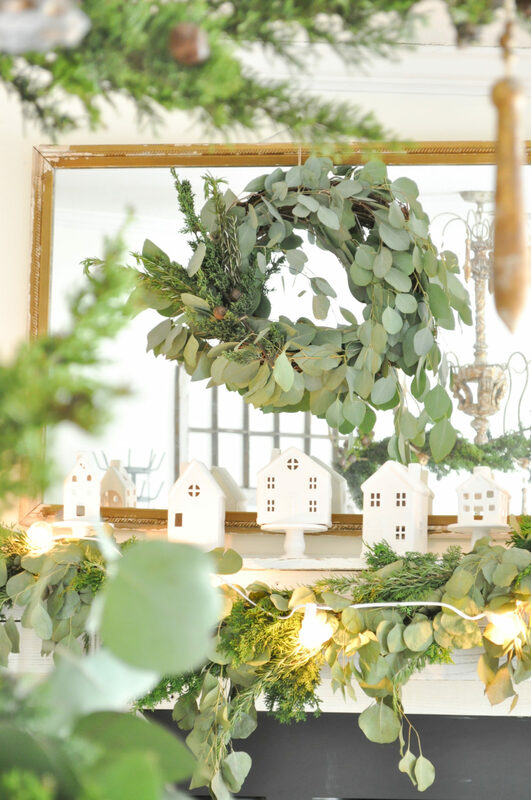 My all time favorite Christmas decor is fresh greens…and I received a garland and bouquets of eucalyptus, cedar and rosemary from Petal Driven. I wanted to create chair wreaths for the dining room. So, I made small bundles of each and attached them to little foam wreaths with twine. They are a little sloppy…but I like the casual feel of how they turned out. 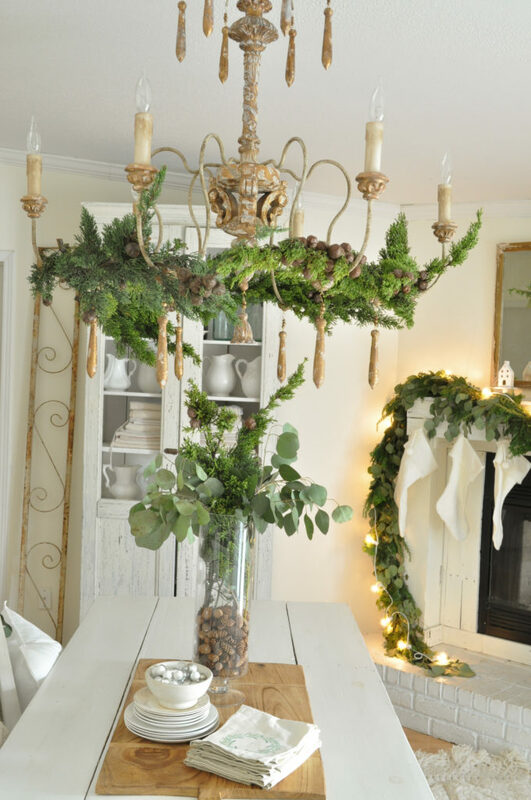 If you can remember, we switched out our chandeliers this past summer, and you better believe I had to add some greens to this one!! 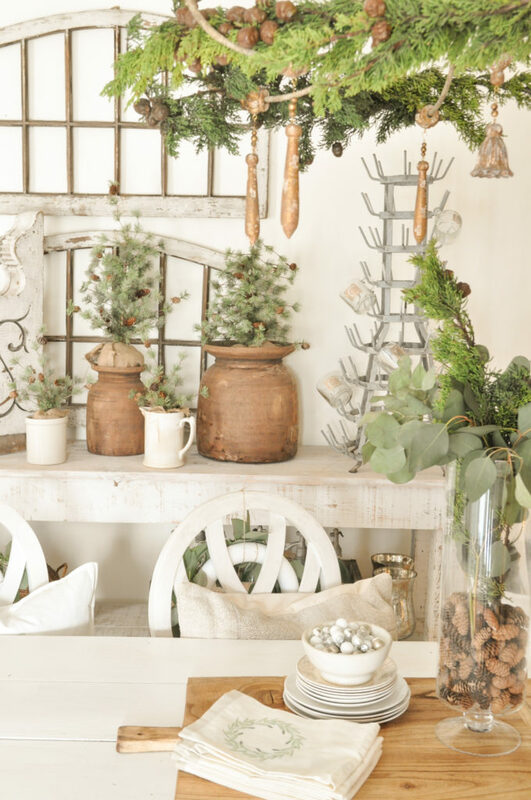 The Harper bread board and mini pine trees are from my PRH Collection and go perfectly with my “woods and whites” natural Christmas theme this year. I added mini pine cones to my glass vase and put a few sprigs of greens on top. I chose not to set the table for this tour, as I just wanted it to feel more casual and laid back for all of you! Now, I do LOVE to set a table!! But most days our dining room looks just like this. My Christmas tree area is right in the center of our home…it’s between the dining room, kitchen, and family room. So it’s a beautiful view from every room to see the twinkle lights. 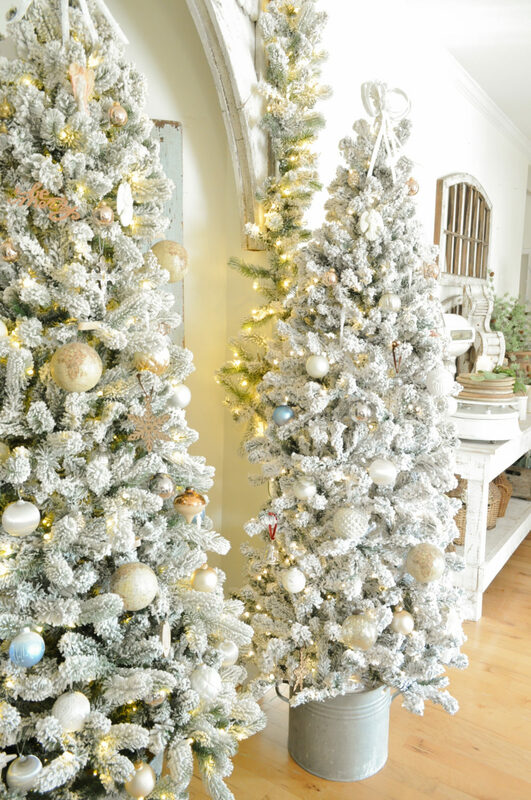 The trees and garland are from King of Christmas and I decorated them very simply…just ornaments. 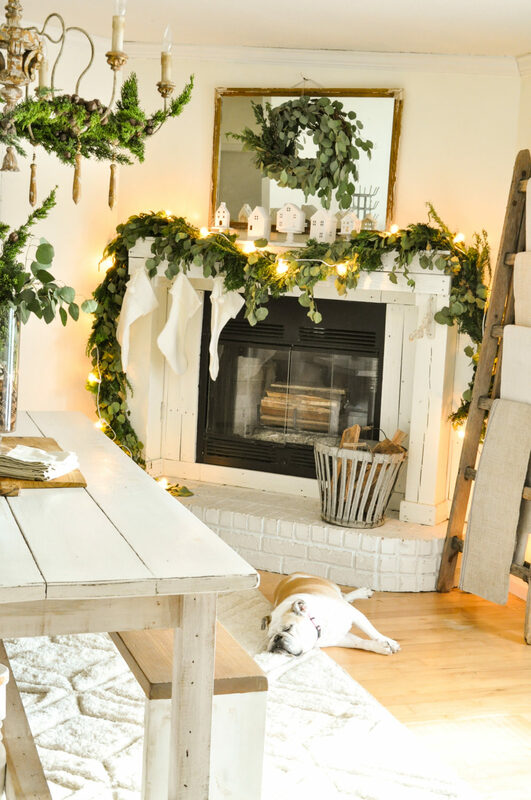 And I also made the wreath over the mantle too…can you tell I love DIY?? I just used a grapevine wreath and added bundles of eucalyptus with a grouping of cedar and rosemary on the left side. Once again, it’s got a casual sloppy look with a touch of whimsy. The little white houses are from the Target dollar spot. Now…I hope this post inspires you to remember, Christmas decor doesn’t have to be extravagant. Simple and casual is beautiful too! 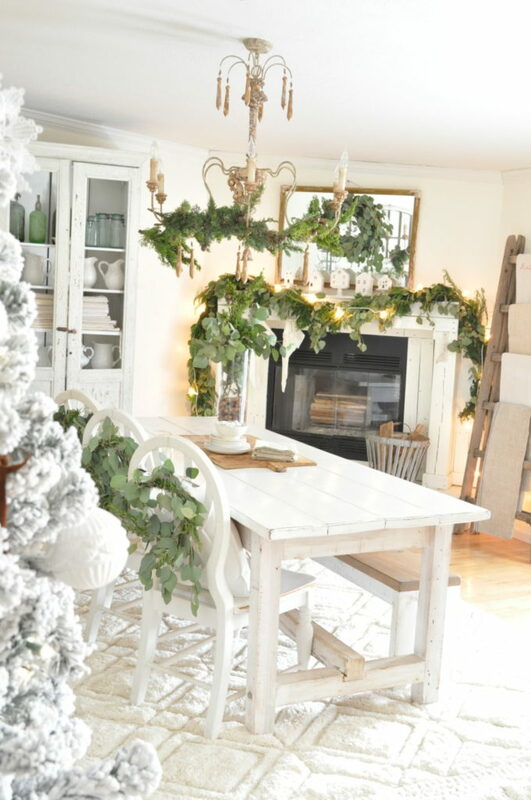 And scroll down to see links to all my friends who are sharing their gorgeous homes today! Thanks for touring my home and please take a minute to leave a comment and tell me what your favorite part of my Christmas tour is today! Enjoy the Christmas season with your family! Each of us will be sharing a short tour of our spaces over on Instagram stories today! So, you don’t want to miss it! Your home is Christmas magic!! 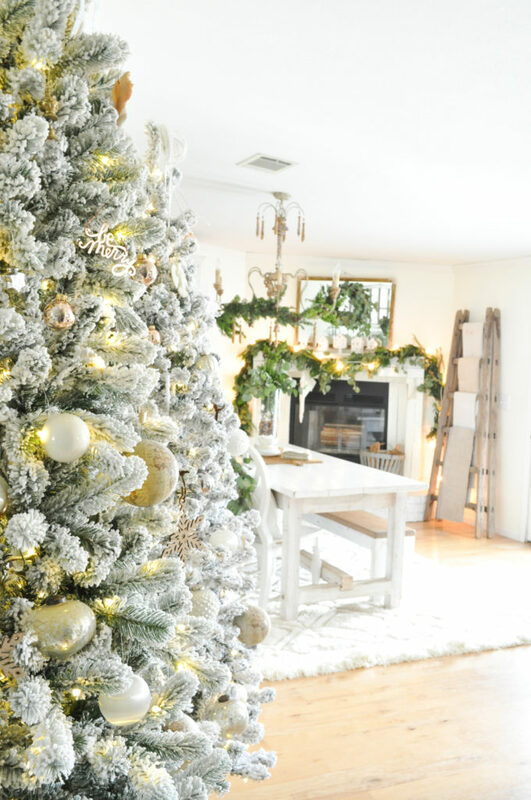 I love your trees and how you decorated your fireplace! Love doing this tour with you XO! 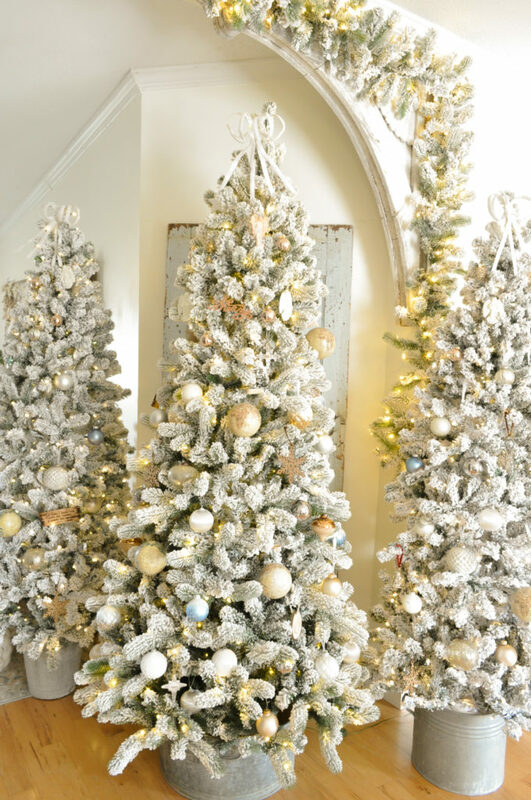 Becky, I absolutely love how you decorated your home for this season! The whites and greens and just beautiful!! Love doing this tour with you! All this greenery is so beautiful! 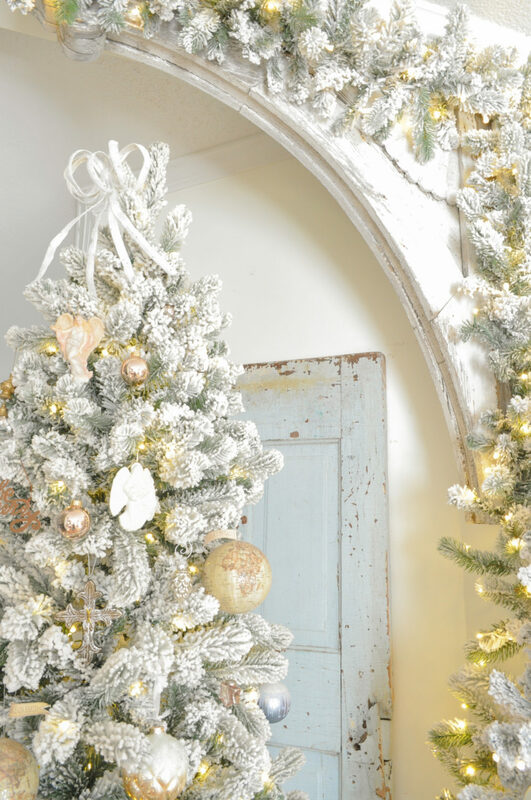 You truly created a welcoming, magical space for the season! So inspiring! Love the mapping with the wreaths on them. Where did you get them? I love all the fresh greenery! 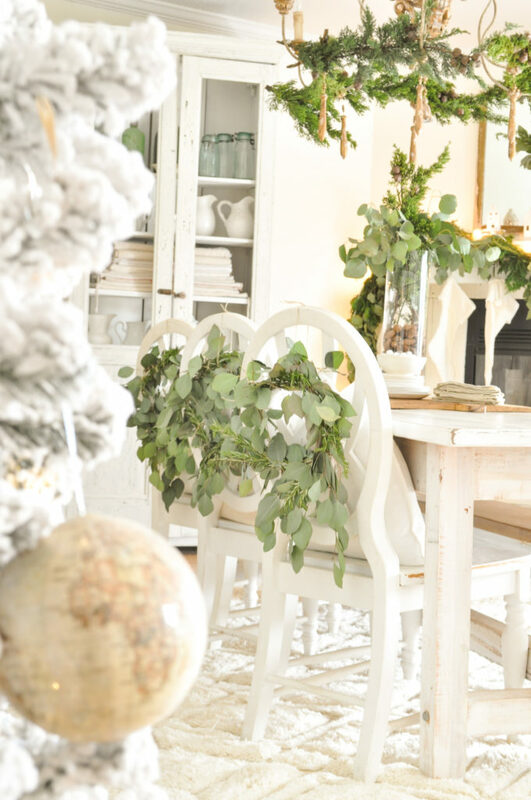 The eucalyptus wreaths on the chairs is so beautiful. What a lovely home you’ve created Becky! Your house is beautiful! I love the wreaths.